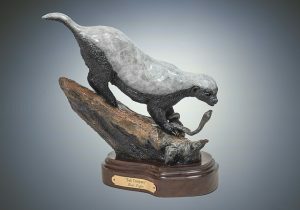 This African Honey-Badger is the badass cousin to the North American Wolverine. 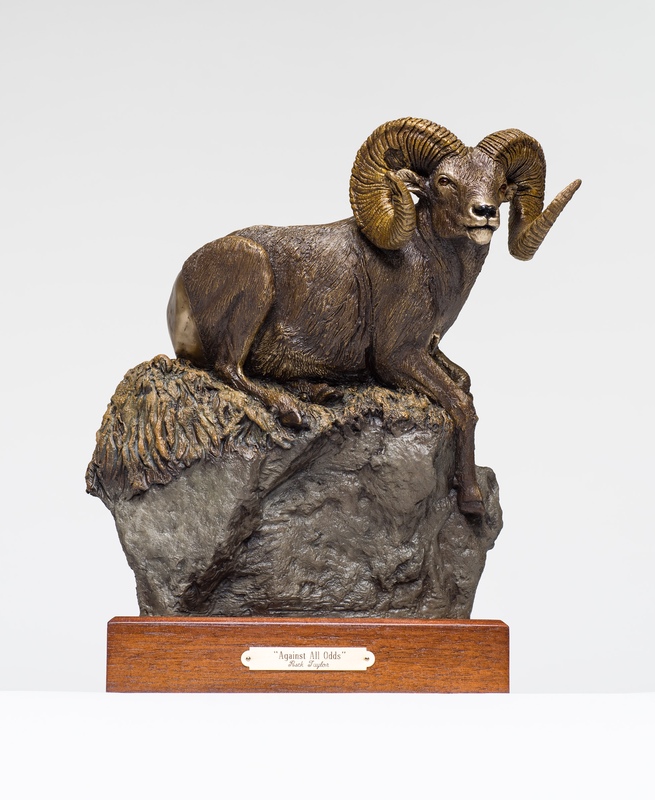 Similar in size and temperament it is one tough customer. Just ask any unfortunate snake that crosses his path. Interestingly, these animals are immune to reptile venom and use that to their advantage. 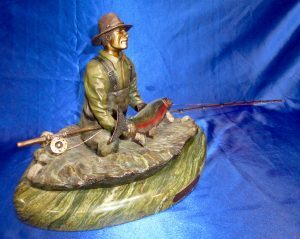 This enhanced patina bronze stands about 8 inches tall and is mounted on a solid walnut base. 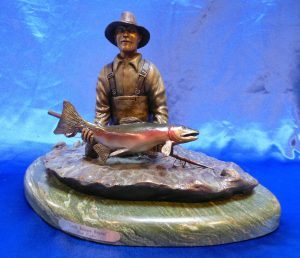 The edition is limited to 100. $1500 USD includes shipping to continental US and Canada. 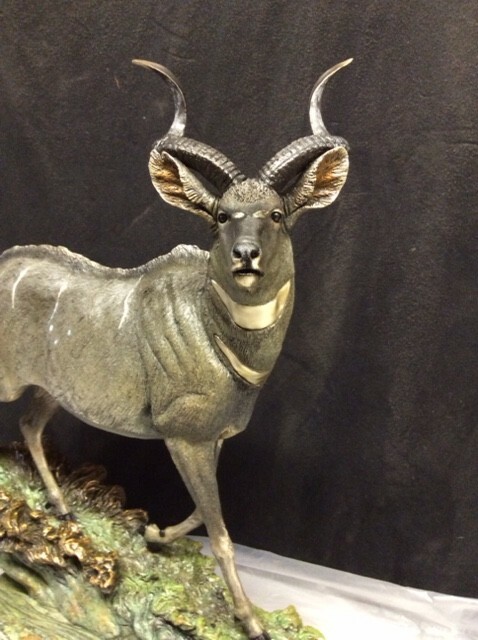 The unique feature of this Greater African Kudu sculpture is the use of .999 fine silver to depict the stripe markings and the chevron. It is mounted on exotic African zebra wood. This elegant sculpture measures 22 inches tall. $4800 USD includes shipping to continental US and Canada. 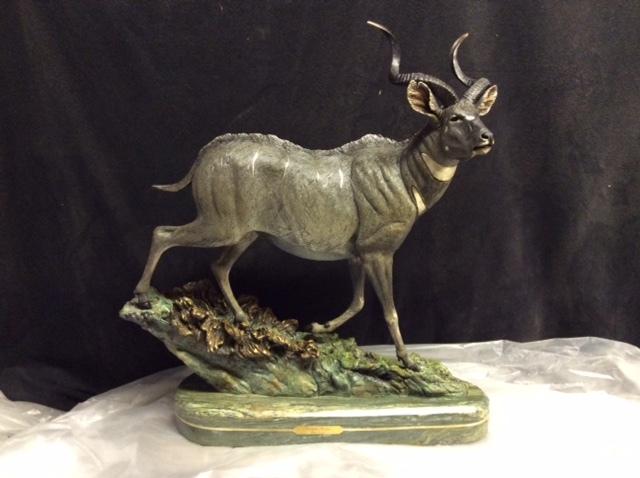 Commissioned by the Murulle Foundation this bronze sculpture is a fundraiser for habitat projects in Ethiopia to benefit the elusive Mountain Nyala. 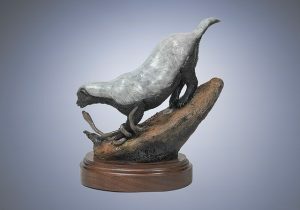 Limited to a small edition of only 25 pieces each sculpture is inlaid with .999 fine silver to mimic the subtle spots and stripes of this unique animal. 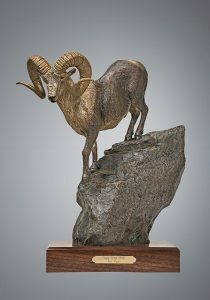 It is mounted on a premium marble and bronze laminated base and weights approximately 75 pounds. 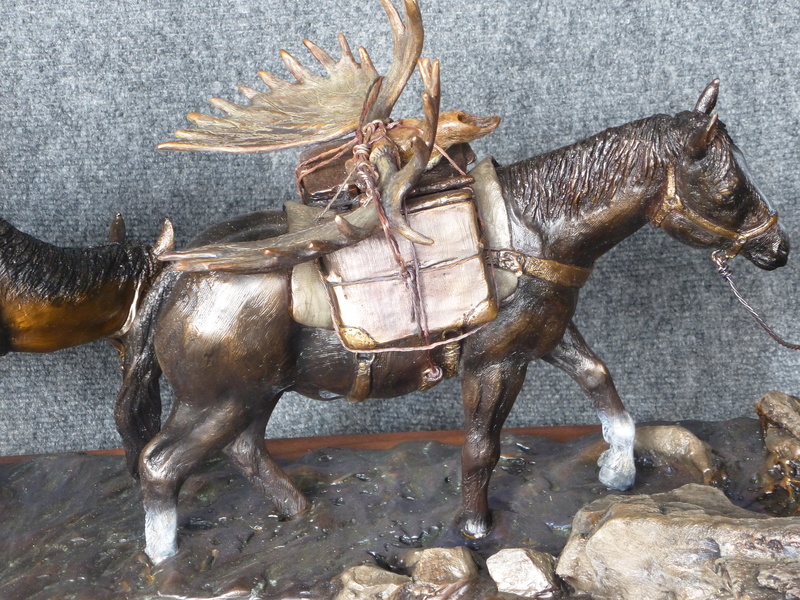 At 1/4 scale the finished bronze stands 24 inches tall and is 22 inches long. 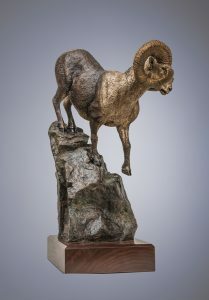 $12,000. 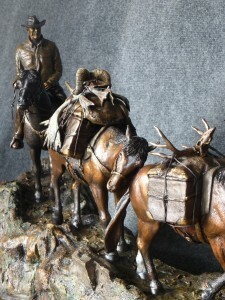 USD includes shipping in North America. 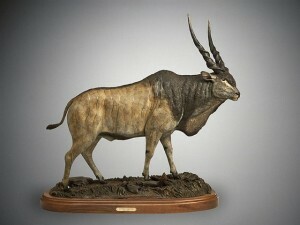 The Giant Eland is the largest antelope in the world with bulls standing over 6 feet at the shoulder and weighing over a ton. 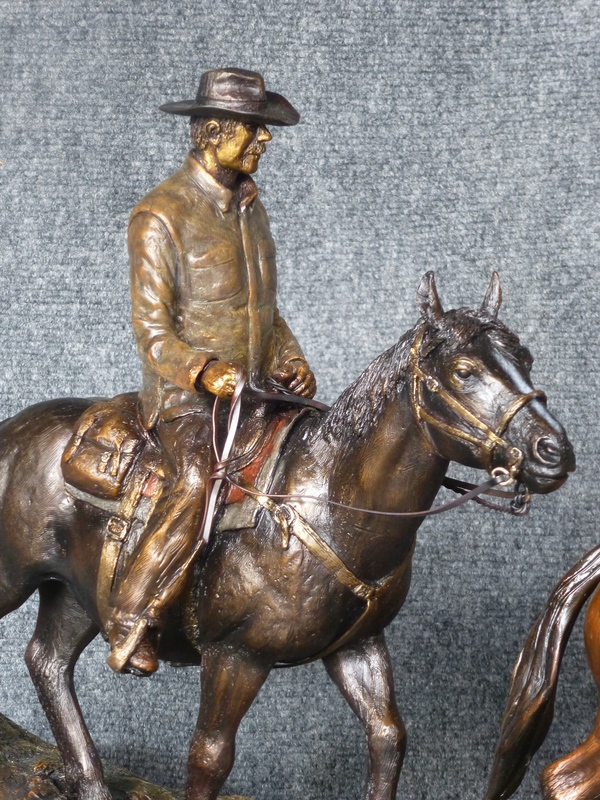 This large bronze is over 30 inches tall and 30 inches long. It’s distinctive vertical body stripes have been precisely inlaid with .999 silver and its tawny coat has been captured with a uniquely contemporary patina. 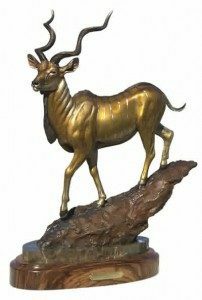 The majesty of this singular species is portrayed by a mighty bull in full winter pelage and represents the ultimate spiral horned trophy. 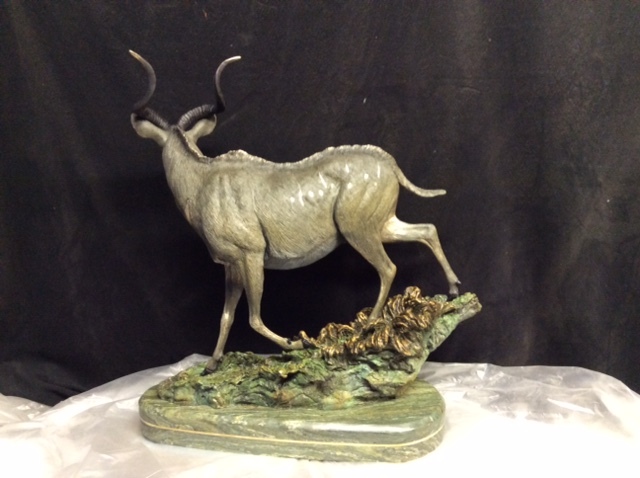 No small figurine could ever capture the power of this animal so at one quarter scale this is a large and impressive bronze sculpture. 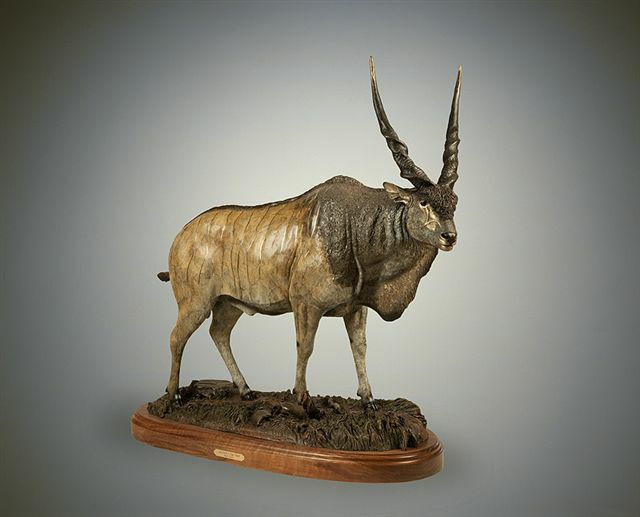 “Lord Derby’s Giant Eland” is an edition of only 25 and will command a place of honour in your trophy room. $15,000. 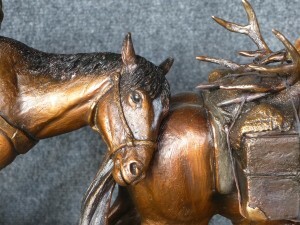 USD includes crating and shipping in North America.